Bucknell University Press – Page 2 – Edimus quod nobis libet. 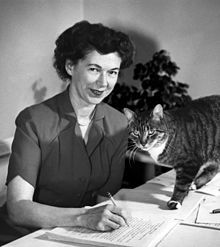 Happy Birthday to Beverly Cleary! Author of the beloved Quimby sister stories, Cleary, born on April 12th, 1916, celebrates her 102nd birthday today! Inspired by her own experiences in the world around her, Cleary first started writing to create the books that she longed to read but could never find on library shelves. Most of her stories take place in the Grant Park neighborhood of northeast Portland, Oregon, where she was raised. Today she is a celebrated author of children’s and young adult fiction, with more than 90 million books sold worldwide since her first book, Henry Huggins, was published in 1950. Perhaps her most popular books revolve around the sisters Beezus and Ramona Quimby—the first, entitled Beezus and Ramona, published in 1955. Since then, the books have even inspired a movie adaption, Ramona and Beezus, released in 2010. More than half a century since the publication of Beverly Cleary’s first book, her stories remain popular with readers of all ages, passed down from generation to generation. Childhood favorites of my own experience were Carolyn Keene’s Nancy Drew Mystery Stories. First published in 1930, this too became a series to span generations. My own mother shared them with me, and from these books I learned to love reading. 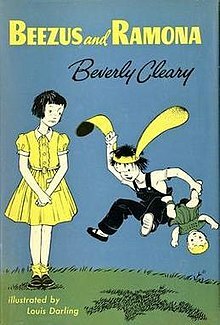 At age 102, I am sure that Beverly Cleary has provided that same experience for girls and boys alike whose parents became enchanted by Cleary’s charming humor and memorable characters. When my advisor told me that I should look into the internship that had opened up with the Bucknell University Press, my first thought was: we have a press? It was the end of my Junior year at Bucknell, I was an English major, and yet I had never even heard of the Bucknell University Press. When I came into the Press for an interview, I found myself winding down a labyrinth of stairs and hallways into the basement of Bucknell’s Management building, Taylor Hall. Here, in this hobbit hole, was the Bucknell University Press. Upon my arrival, I was interviewed by the Press’s two and only regular employees—Pam Dailey and Greg Clingham. Besides an editorial board of about 11 other Bucknell faculty and staff (who meet with Pam and Greg four times per year), these two were the main forces behind press operations. As a Senior at Bucknell, I was to become a third hand, serving at the Press’s intern for the 2014-2015 academic year. 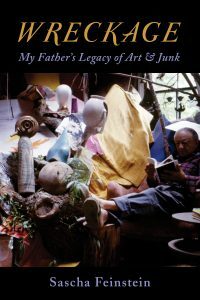 As I became acquainted with life at the Press, Pam and Greg geared my tasks toward my interests in art and writing. I learned to use InDesign and Photoshop to put together promotional materials like posters, press releases, and discount flyers, and I had the chance to interview the artist of the covers of the Press’ Contemporary Irish Writers Series, Gráinne Dowling. I was also assigned the job of starting up a Bucknell University Press account on Facebook, so we could have a presence on social media and hopefully get the word out to campus that a university press did in fact exist! The year flew by, and it was sad to say goodbye as graduation grew near, but I had acquired a unique glimpse into the workings of a small press that I would always value. A few years later, I returned to Bucknell University to obtain a Master of Arts degree in English Literary Studies. One academic year passed by and Pam offered to take me on for some summer work. So I found myself at the Bucknell University Press once again, and it only felt natural to jump back into things. By this point in time, the Press’ social media presence had grown to include a Twitter account in addition to Facebook. Occasionally, I would post announcements here, but most of my time was spent designing ads and flyers in addition to an article on the history of the Press’ book catalogues for the Bucknell University Press blog page. The summer flew by, until it was time to say goodbye again. I spent the first two weeks of August 2017 abroad in Europe, and when it was time for the new semester to begin I returned to find out that my graduate assignment would be to work at the Press again as an editorial assistant. It was not goodbye after all! Since August, I’ve continued my work here at the Press. Many things have changed from the time when I began my internship here in 2014. 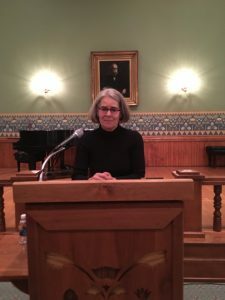 Among frequent social media posts, blog articles, interviews, contests, and author events, the presence of the Bucknell University Press has grown across campus. 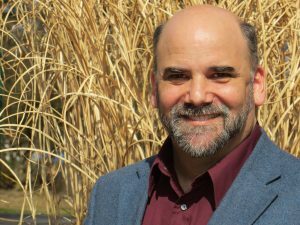 Other changes are in the works as well, including the transition from our partnership with Rowman & Littlefield to a new collaboration with Rutgers University Press beginning in 2018. Also new in 2018 will be a more central location for the Press at the Humanities Center on Bucknell’s campus. Located next to the Bertrand Library and adjacent to Vaughn Literature, which houses the English Department, this new building will take Bucknell University Press out of its current location in the basement of the Management building and into a space more suited to its genre. Surrounded by other organizations in the humanities, there are hopes that the Bucknell University Press will continue to grow with a more prominent presence on campus and in the scholarly world at large. My on-and-off time at the Press has taught me much about what goes into running a small university press, as well as how much can change over the course of a few years. 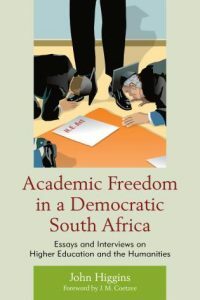 In celebration of University Press Week, which was instated in 1978 by President Jimmy Carter “in recognition of the impact, both here and abroad, of American university presses on culture and scholarship,” I reflect on my own experience at the Bucknell University Press and all that I have learned along the way. The Press has certainly contributed to shaping my own culture and scholarship at Bucknell, as I am sure it has done for many others in the greater press community. I recently had the opportunity to sit down with Antjie Krog, visiting poet and lecturer on social justice, to talk about her recently published Lady Anne: A Chronicle in Verse. Below is a transcribed version of the interview, with my questions in boldface and Antjie’s responses in regular face. These poems were originally written in Afrikaans, and the whole collection was published in that language. What brought you to your decision to translate it into English? It is the visit of professor Greg Clingham who came into my office and asked wouldn’t I oversee, or look, or do a translation of Lady Anne into English. And I said, “Why?” And he said, “No, no, no, I think Lady Anne is on a comeback, and that the book would fit in nicely with all the other projects.” And so I said yes, and I was too nervous to ask anyone else to do the translation, because maybe the poems don’t work, and then that one has to tell you, or you have to realize, and so I said no, I’d do it myself. I think on 1 December—our long holidays are over December, so November, December, January, February—I translated them into English. There is a whole controversy about poets’ translating themselves. Brodsky did that, and some playwrights did that, and it’s very problematic because you’re not really a translator; you’re a poet. So when the line doesn’t work in English, you don’t look for a better line; you change the line. So this time, I tried my best not to do that, but to behave like a translator, and not to make too big a difference between the Afrikaans version and the English version. Poetry—I’d say much more so than prose—uses rhythm, meter, and the actual sounds of the words to effect emotion, as opposed to just the literal meaning of the words. So I imagine this must have caused some issue in the translation process. You said you were very active in translating Lady Anne; you did it all yourself, or mostly yourself. What troubles did you come across? Were there any instances where the standard English translation of an Afrikaans word or phrase was inadequate, or didn’t really get across the meaning that you wanted it to? There were several specific translation questions, but I don’t have any on the top of my head. More generally, one of the things in the Afrikaans volume is that the Afrikaans was very cryptic. It didn’t flow necessarily, and Afrikaans is a language that lends itself easily to any kind of distortion. It’s a young language, so you can do with it what you want, which you can’t in English. It’s very jarring if you do the word distortions in English that you’ve just done in Afrikaans. So, there’s none of that, and I think the flow is much more logical. But when the book was written in Afrikaans, when it was filled with anger against your leader, after other Afrikaners, you actually didn’t want them to read you. You didn’t want them to like what you wrote, so you made it deliberately difficult to read. This time it was not like that. The other biggest issue was the form, because I chose a specific rhyme pattern for the historical parts. It’s sort of ABAB et cetera, and the last line is again A, so that the whole stanza ends with a rhyme. It’s like a circle; it comes together with a rhyme. And that I was not always able to do in English. So it’s less formal, and it’s less structured. 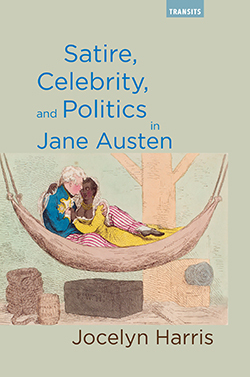 At first glance, many readers may assume Lady Anne is a history of the 18th– and 19th-century character, not a collection of poems that delves into resistance to apartheid and other things. Can you tell me why you chose her as the person around whom you based the book? What specifically made Lady Anne Barnard so good for your intentions? It’s like a treasure if you come across someone who is herself or himself a good articulator, and because she wrote a lot—diaries, letters—she not necessarily expressed herself so well, but she had the eye of a painter, and so she could describe the things that she saw, which is wonderful because you move with her through the Cape during that era. And then, she had these unbelievable drawings which you could also then use in your poems, and you could then treat her as a fellow artist. So she’s not only a fellow woman, she’s not only a fellow observer, but she’s also agonizing about how to do justice to what she sees, or to the complexity of what she sees. 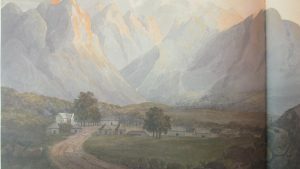 One more example is that there was a sale of paints in London at Newman’s, and she went there and bought a lot of paint to bring back to the Cape, and when she arrived at the Cape, she realized that she completely misjudged the sun and the clear clarity of that landscape. She had all these dull English greens, and she doesn’t have yellow, red, or others. And how many times she tried to draw somebody or something and it didn’t work out. All of that is a precious extra thing that she brought to why I wanted to choose her. Or, I chose her, and then, in the end, there are a lot of spinoffs. Like also, the notion of the turtle or the soul-fish, this also I got from her. And it became a constant metaphor for me in other works as well. 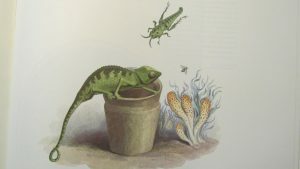 I often used “in change of tongue.” It’s the same as the fish in South Africa. We have “to change our tongues” if we want to live there. Many of the poems set in Lady Anne Barnard’s time are posed as journal entries and letters, as if they were historical documents that were dug up and reproduced. Why did you choose to format it this way, pretending that it was a journal written by Lady Anne herself? Because of the form of the epic. Lady Anne is an epic, and the epic has to tell a story. And, by using letters and diaries, it tells a story—it tells her story. That is to make a difference between her and the bard. Her work is telling; it’s narrating stories, not emotions. Her work is strictly formal, and it has a kind of old-fashioned vocabulary. While the bard is completely free-verse; it’s always just personal. It’s filled with anguish, anger,and anxiety, which is hidden in her texts. So it is to make a difference between the two. It also had to contrast in style and in context. But what it does say is that the bard is capable of writing the Lady-Anne style. It’s you who are versatile. You write in free-verse, but you can also write in that style and pretend you are somebody else. One of the big issues you touch on in Lady Anne is apartheid, or racial injustices in South Africa at the time in general. How does the situation in South Africa now compare to the situation during the climax of apartheid when you were writing in the late ’80s? Is it better? Is it perhaps worse? It feels like it’s worse. But the moment I say it, I say to myself, “We have forgotten how it was in the late ’80s.” There was actually a low-intensity civil war, and the country was exploding, and we thought it was going to be havoc and destruction. This, in fact, didn’t happen, but the country is now very, very bad. People are angry. The poor are angry. The politicians are corrupt, and the corrupter they get, the easier it is to blame white people for it. And, of course, white people are to blame. We are to blame. But that means, if you continuously blame white people, it means you don’t take responsibility for what it is that you should have done, or should have done right. This is a big problem. Have you seen any specific improvements, beyond, of course, the legal aspects of apartheid? Yes, there are wonderful improvements. We have a new constitution that declares everyone is equal. We have freedom of the press and freedom of expression. We have the fastest-growing black middle class in the world. So things have improved. It’s just that we all wanted it to improve foreverybody, and now it seems it’s only a few that benefit. How would you say the state of race relations in the United States compares to that of South Africa? Are you concerned by anything you see, perhaps particularly by the current political climate here? The big difference between your racial issues and ours is that yours takes place as a minority issue, a minority that is feeling itself hardened by the majority. With us, it’s different; it is a minority that is accused of doing in a black majority. It’s a black majority that has the political power, butit doesn’t have the economic power it wants. So that is the biggest difference. I think both those struggles should be waged with that in mind. I think the vocabulary should be different, because if you say in South Africa “black lives matter,” then you are saying it not only to white people, you are also saying it to black people. In other words, don’t steal the money from the poor, because poor black lives also matter. It’s that kind of difference that, for me, is the most important. How has the reaction been to Lady Anne? Have you found that readers are enjoying the collection and understanding what you hoped they would? You mean when it came out in Afrikaans, or when it’s now coming out in English? Considering it hasn’t been out in English for very long, let’s focus more on the original Afrikaans. It received the most important prize for poetry then, so it was hailed, and it’s still the only contemporary epic in Afrikaans. It is the only one that is writing about a woman, with a woman as a hero. And the first post-modern structure for a long poem in Afrikaans. So, academically, it has received a lot of attention, and it has been prescribed. The English one, the publication of it I find interesting, because suddenly I have an English market, but there is now a different market of people who are interested in history. They are suddenly reading, and some of them have problems. They say I abuse Lady Anne, I appropriate her, and I judge her unfairly. Which is an accusation, if it were a black person that I abused like that, that I’d agree with. I would feel very bad about it. But an accusation where you abuse aristocracy, I don’t feel bad about that. It really doesn’t…I don’t care two hoots. And I’m not doing her biography; I’m using her as a metaphor for privilege. For me, she’s privilege. And one looks at the role of privilege, and the responsibility of the privileged in South Africa at the time, and this is one. It’s fine. It has sold quite well in South Africa also. What are your personal opinions on Lady Anne? How do you feel about her, beyond, perhaps, what you wrote via the bard? Do you think she was a good person? Do you think she used her privilege well enough, or not to the extent that she should have? I think she didn’t use it well enough. But you have to remember, when I wrote it, there was no other material available about her except that stay at the Cape. Someone published the letters and some of the diaries, but nothing else was known. Some people would try to suggest other things about her, but it was only that period. So I felt, in that period, that she failed in a way. But, of course, I fell in love with her. She is such a beautiful woman, and so creative. Ja, I was enamored with her, which makes that I actually don’t condemn her. You must understand that there are barriers when you’re female, and when you have a husband like she had. She was much older, all of that. But now, a biography has appeared this year, a full biography. The family gave that person access to all the material, and now a lot of other things have arisen. It’s like, you know your grandmother, but you only know that part when she was quite older. Suddenly, someone writes about the unbelievable life she had before you got to know her. So I love that biography. It doesn’t, for me, change my judgment on her, but it makes her as remarkable as one thought she was, reading her texts and looking at her pictures. What do you think she could have done, considering that she was a woman in the late 1700s–early 1800s, what came with that, and the limitations that that had? What do you think she could have done more to be a better person of privilege back then, considering she didn’t have much autonomy? Oh, she had no autonomy. She wrote letters back to Dundas, to tell him what was wrong with the Cape, but the wrongness was basically the corruption of the English civil service there, the government service, what they did not do, and how they were involved in slavery, et cetera. It was seldom a hard, critical look at race. And I think it was because she was part of the aristocracy. You know that you are better than others. You know you are born better than others. So you are kind to the poor; you feel sorry for them. But you don’t want to…you are not out to disturb the levels that are there. And that’s the feeling that you get, that she felt very sympathetic toward slaves. She noticed that they were not treated well, but she herself never decided not to have a slave, to do all the work herself. You originally published Lady Anne in 1989. Looking back, almost thirty years later, is there anything you wish you would have done or written differently? Is there anything you wish you could have included, given retrospect? You know, what came out in the biography is when Andrew Barnard went back the second time (when he went alone), he actually had an affair with a slave, and had a child by her. So, Lady Anne was then told, and she waited until that child was then nine years old, and someone had to bring that child to her to England, and she raised her. She left her an extra amount of money because she thought she would never marry because she was not pure white, and would then have a hard time. But she ended up marrying into a very good English family and is now part and parcel with the echelons in England. I was so surprised, because if my judgment was hard on her, it was much harder on him. It was a surprise to come across that. I said that I wish I knew that, but ja, what would I have done? Because when I go back to the text, I suggest several times in the text that he is looking at other women, so it would not really change what I wanted to do. So ja, I don’t think it would make a big difference. No, I’m surprised that the set is working. And I think it’s working because I chose her. If I only wrote my own personal poems, if I only wrote my own anger at apartheid, I think that book would have, you know, perhaps suffered the mark of time. But because I chose her, it makes it more complex than just anger at apartheid. It’s much more; it deals with women, it deals with race, it deals with class, and it deals with many things: food and form, artistry, to be an artist, et cetera, all of that. This is because she, as a metaphor, is so rich. Well, that is the end of my questions. Is there anything else, any last comments you’d like to make concerning Lady Anne? Tell me, now, if you have read it, did you find it easy reading? Personally, poetry is not my forte, so I would not describe it as “easy reading,” no. I got much more out of it when you read it yourself because of the way that you so easily showed the differences in characters with the voices you would make and such. When you were more impassioned or less impassioned, it was easier for me to understand what was trying to be conveyed than when I read it myself. It’s important, I believe, to stick to the notion that the original, the root, the strongest root of poetry is oral. So if you don’t hear what you write, you shouldn’t write it. But it’s difficult to write it so that it sounds to the reader the way you mean it. And still, no one knows how to do that. South African poet Antjie Krog, author of Lady Anne: A Chronicle in Verse (Bucknell, 2017), will be coming to Bucknell September 19–20, during which time she will give a poetry reading and a lecture on social justice. In anticipation of her arrival, we would like to bring to our readers’ attention two other books we have published that touch on issues facing South Africa today. 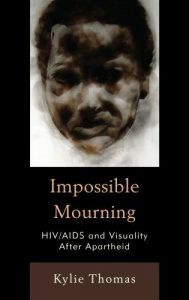 Impossible Mourning: HIV/AIDS and Visuality After Apartheid argues that while the HIV/AIDS epidemic has figured largely in public discourse in South Africa over the past ten years, particularly in debates about governance and constitutional rights post-apartheid, the experiences of people living with HIV for the most part remain invisible and the losses due to AIDS have gone publicly unmourned. This book engages with multiple forms of visual representation that work variously to compound, undo, and complicate the politics of loss.